It's easy to take lunch breaks for granted. After all, they're nothing more than an opportunity to curb those midday hunger pangs, right? But, as it turns out, there's more to lunch breaks than that. If used right, lunch breaks can boost your productivity, too. It's not just because they fill your stomach or give you a breather from work. When you take a lunch break, you have the opportunity to do one or more of the following. You've already been staring at your computer for hours. The last thing you want is to stare at it some more and experience computer vision syndrome (CVS). Even if CVS doesn't damage your eyes, it still causes enough discomfort to get in the way of your work. So don't forget to give your eyes some TLC. Follow the 20-20-20 rule: Every 20 minutes, look at an object 20 feet away for 20 seconds. Make sure to blink your eyes regularly, so they'll be moistened and refreshed. This way you can get back to business A.S.A.P., without getting distracted by tired eyes. Granted, there was one study that linked clutter with creativity. But another study showed 77 percent of Americans suffered a drop in productivity because of messy desks. So if it always takes you half an hour to search for a single piece of paper, consider clearing up your workspace. You can start by organizing your stuff. Divide it according to labels like “Things I Always Use,” “Things I Sometimes Use” and “Things I Only Touch Once a Week/Month/Year.” Leave the ones you always use on your desk and find a suitable place for the rest. Who knows, a neater desk might be the productivity booster you're looking for. When they said “laughter is the best medicine,” they weren't exaggerating. Laughter can improve your blood circulation, strengthen your immune system and provide other incredible health benefits. And since you're working from home, you don't have to worry about co-workers shooting you funny looks while you guffaw at your desk. The best part? It doesn't take much to laugh. Just type “funniest videos” into YouTube's search bar. Log on to humor/satire sites like McSweeney's and The Onion. Or call up a friend with the same sense of humor as yours, and laugh about random things over the phone. There's no shortage of ways to tickle your funny bone, as long as you're willing to look for them. After consuming a ton of nonfiction articles, your brain's bound to shut down at some point. When that happens, you'll want to shift gears and read fiction for a change. 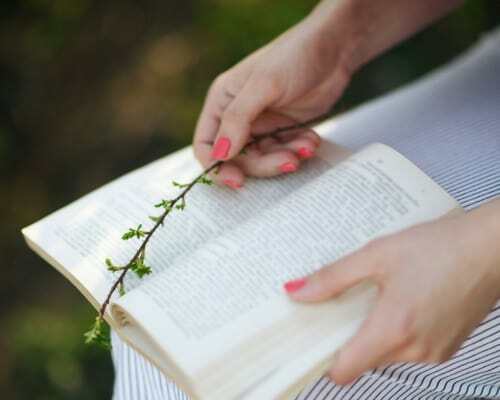 Unlike most online articles, fiction isn't peppered with hyperlinks and other distractions, so it makes you a more focused reader. It also engages your mind by making you reflect on events happening in the story. When your mind is energized and focused, it's easier to get through another hectic workday. And you don't even have to pick up a thousand-page novel. Hundreds of websites publish short stories from different genres, so you'll never run out of things to read. Type “your favorite genre + website + short stories” into Google, and see what comes up. What you eat for lunch can spell the difference between a productive afternoon and one where you're groggily waiting for the clock to strike 5. If your energy levels always crash in the second half of the day, whip up healthy lunches that'll keep you full and alert at the same time. But what if you don't have time to cook? Many grocery stores have pre-packed lunch kits that you can just grab and go. Choose options that won't spike your blood sugar, like a chopped chicken salad, or hummus with veggies and whole wheat pita slices – delicious and healthy! Remember what your mom said about chewing your food slowly? It turns out it's not just an old wives' tale. When you eat slowly and mindfully, you take in fewer calories. You also appreciate every morsel that goes into your mouth, so eating becomes an almost meditative experience. To practice this kind of mindfulness, focus only on the act of eating. If possible, eat away from your desk and don't eat while watching TV, reading a book, listening to a podcast, etc. If you can't be away from your desk, turn off the open applications on your computer. Once you develop the habit of eating mindfully, you'll have a different kind of appreciation for food. Think you don't have time to exercise? Think again. Even if you exercise for only 7 minutes, it's possible to reap the same benefits as someone who does the same for a longer period. The key is to ramp up the intensity of your workout. You don't have to do something like a cartwheel. As you can see from the diagram above, intense exercises can be done by anyone, regardless of fitness level. If you perform them in rapid 30-second intervals, and you feel an “8” on a 1 to 10 discomfort scale, you're on the right track. Don't feel guilty about hitting the hay too early in the day. If you haven't been sleeping well lately, a 30-minute nap can make up for it. You'll also feel less stressed and become more resistant to diseases, thanks to the boost in your immune system. And if you think power naps are a waste of time, get this: Napping makes your gray cells work better. If you're learning something new, a brief trip to Slumber Land helps your brain retain more information. That's why, in general, students who get enough shut-eye before a test do better than crammers. By now, you know that marketing yourself on social media is a must. But what if you can't even squeeze in any time to post on Facebook and Twitter? Answer: Do it over your lunch break. According to Kissmetrics, Facebook shares peak at around noon. Twitter CTRs (click through rates) also spike at around the same time. So if your marketing is falling by the wayside, your lunchtime may be the right time to pick things up. Your lunch break is supposed to be a break. If you use it up for work anyway, it defeats the purpose, doesn't it? So get away from your desk and take a walk outside. Visit the nearby parks and enjoy the benefits of nature. Try not to worry too much about the day's problems. Focus on appreciating your surroundings. Like naps, these moments of relaxation can lend you creative inspiration when you least expect them. Also, they're fun! If walking around aimlessly isn't your style, you can kill time in other ways. You can do chores, invite friends to come over or work on that creative project you've been neglecting. No matter what you choose to do, it should leave you feeling good and ready for the rest of the day. You might've noticed that some of these tips contradict each other. For example, in point No. 9, I talk about posting on social media, which is a work-related task. But in No. 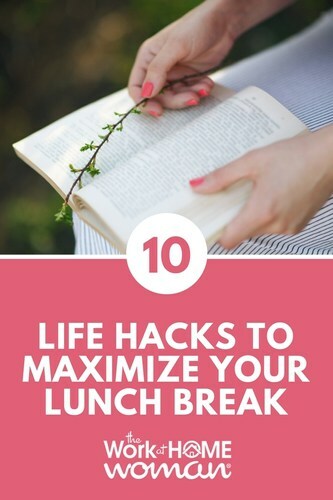 10, I also tell you to avoid work-related stuff over lunch. What's going on? That's easy. Each of these tips works differently for different people. If working over lunch works for you, that's fine. If napping is the better solution, that's fine too. What's important is to have a lunch routine that complements, rather than detracts from, your working style. Try the tips above for yourself, and let me know in the comments which one works best for you! Sarah Landrum is a freelance writer and career blogger sharing advice on finding happiness and success in life and at work. You can find her dishing out advice with a side of wit on Twitter and her career advice blog, Punched Clocks. Amazing and effective post. I really very inspired from this post. I have tight scheduled but surely this will be follow. Thanks for sharing a great post. A clean desk or house can be felt so I can see how it helps in being productive. One thing, you can actually find the ‘thing’ you’re looking for. I often forget to read fiction. Do you? It’s such a great way to escape from all the brain power during the day. It’s been so long, I don’t know who to read. Any suggestions? Thank you for the recommendations. I like memoirs as well. Old diaries are another favorite. I’ll go check out Life is Good. The power nap idea is a tried and true method for me. It’s amazing how refreshed you can feel after just 10 minutes of rest. The key is to actually fall asleep. Great suggestions, thank you! Ditto for me, Jesse. When I’m totally spent, I’ll lie down on the sofa and fall asleep hard for 10 – 30 minutes. When I wake up, I feel so refreshed. Glad you enjoyed Sarah’s tips! Great suggestions Sarah. Even though I work from home, I still schedule a lunch break. I leave my office and hang out in other parts of the house or just sit outside for while. Hope you’re having a great week ladies! Good for you, Cori. I need to get better at that … I always eat lunch at my laptop. But I have been making it a priority to exercise at least 3 times a week – which really helps to clear my mind. Glad you enjoyed Sarah’s tips!